Great Summer Project For children! Enter Mahatma Gandhi Week 2015 Essay, I-Tribute, Poster and Speech contests. Visit gandhilibrary.org for registration and more information. All school going children can participate! These contests are being organized to create higher awareness of the inspiring life and work of Mahatma Gandhi to promote universal values of Truth, Non-Violence, Love and Service. The story thus far…In South Africa, Gandhi saw how the Indians were treated as inferiors, only allowed to work the soil but not permitted to own land. Under the law enacted in the Orange Free State in 1888, Indians had been deprived of their rights. In Transvaal, they had to pay a poll tax of 3 pounds if they wanted to stay in that state. Gandhi gathered the community together and drew their awareness to the deficiencies in their statuses and advised them unite for justice. The Indians, as advised by Gandhi, now realized what was at stake but they were at a loss at to what to do. They requested Gandhi to postpone his departure and help them. He agreed to stay on for another month and organize resistance to the new bill. Late that night the Indians held a meeting at Abdulla Seth’s house under the stewardship of Seth Haji Muhammad, the most influential Indian merchant there. They resolved to oppose the Franchise Bill with all their might. Telegrams were sent to the Speaker of the Assembly and the Premier of Natal requesting them to postpone further discussion on the bill. The Speaker promptly replied that the discussion would be put off for two days. The Natal Indians then drew up a petition to the Legislative Assembly pleading against the bill. They followed up with another petition to Lord Ripon, the then Secretary of State for the Colonies. More than ten thousand Indians signed the bill. Copies of the petition were circulated in South Africa, England, and India. There was much sympathy for the Natal Indians’ plight, but the campaign had started too late to stop the bill becoming law. However, the campaign did some good. For the first time, the people of India came to know of the conditions in Natal. An even more important result was the new spirit that was now awakened with the Indians in South Africa. The Natal Indians pressed Gandhi to remain and guide them for a little longer. 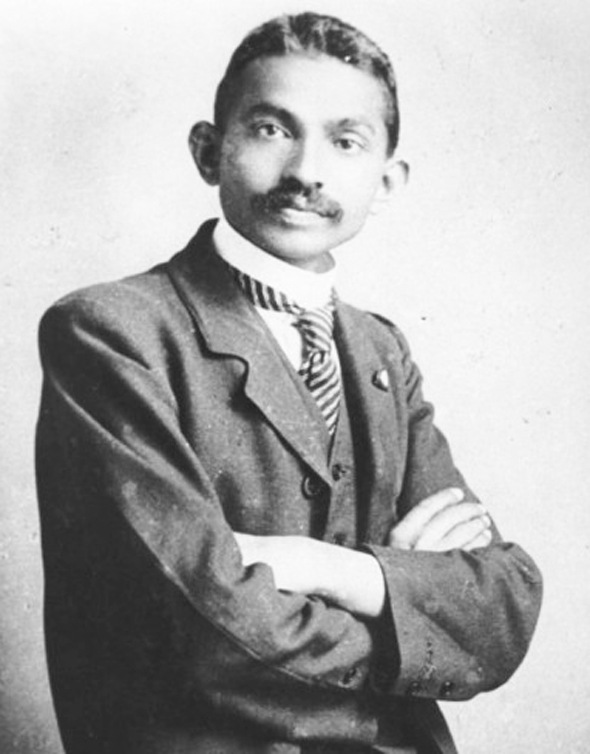 Gandhi told them that he was prepared to stay on if the Indian community would provide him with sufficient legal work. They gladly agreed to do this. Twenty merchants turned over all their legal business to him. ” When Gandhi applied for enrolment as an attorney to argue cases in court, the entire bar, composed of white lawyers, strongly opposed him. When Gandhi applied for enrolment as an attorney to argue his caseload in court, the entire bar, composed of white lawyers, strongly opposed him. The Supreme Court of Natal overruled the objection, and he was allowed to practice. Soon Gandhi became one of the busiest lawyers in Durban; but to him law was a subordinate occupation. His main interest was his public work. He felt that merely sending in petitions and protests would not help the Indians much. He felt the need to organize a sustained agitation. So he proposed the formation of a permanent organization to safeguard the interests of Indians. A meeting was called to discuss this matter. The spacious hall in Dada Abdulla’s house was packed. It was there, on that occasion that the Natal Indian Congress was formed. In 1894 the Natal Government sought to impose an annual poll tax on the indentured Indians. These were laborers who had been recruited from India on a five-year contract, but on a pittance. Under the contract they could not leave their employer. They were treated practically as slaves. These men had been taken to South Africa to help the white colonizers in agricultural work. The Indians did more than had been expected of them. They worked hard, purchased land, and started cultivating their own fields. Their enterprise did not end there. They soon built houses and raised themselves far above the status of laborers. The white people did not like this. They wanted the Indian workers to return to India at the end of the contract period. To make things much harder for them, the Government now imposed an annual poll-tax of £25. The Natal Indian Congress started a strong agitation against this. Later, at the intervention of Lord Elgin, the then Viceroy of India, the tax was reduced to £3. Still Gandhi considered it an atrocious tax, unknown anywhere else in the world. The Natal Indian Congress continued its agitation, but it was 20 years before the poll-tax was finally withdrawn. In three years in South Africa, Gandhi had become a well-known figure. And his practice was well established. He realized that he was in for a long stay. He knew that the people there wanted him with them, so in 1896 he asked their permission to go home and bring his wife and children to South Africa. Besides, a visit to India would be useful in gaining more support for the Indians in South Africa. He had arranged his work so well that he could look forward to six months’ leave. In the middle of 1896 Gandhi sailed for India, and after 24 days landed at Calcutta. From there he went to Rajkot. It was a happy family reunion when Kasturbai welcomed him with their two sons. But the plight of the Indians in South Africa was so much on his mind that he could not be content to enjoy domestic bliss in peace. He therefore launched a campaign to acquaint the people of India with the real condition of the Indians in South Africa. He met the editors of influential newspapers and important Indian leaders, including Lokamanya B. G. Tilak, the hero of Maharashtra, and Gopal Krishna Gokhale who, like Gandhi, was already famous at the age of 27. Wherever Gandhi went, he tried to make the people aware of the lot of their compatriots in South Africa. Many newspapers published his views and strongly condemned the South African government. Summaries of these newspaper reports and comments reached South Africa long before Gandhi returned there. Meanwhile, plague broke out in Bombay and threatened to spread to neighboring areas. In Rajkot Gandhi volunteered to join a group who tried to educate the people about the need for sanitation and other measures to prevent the spread of the disease. At the end of November, however,Gandhi received an urgent message from Natal asking him to return immediately. There were some developments which required his presence there. So Gandhi set sail for South Africa once more, this time taking with him Kasturbai and their two sons and the only son of his widowed sister. However, a message reached Gandhi advising him not to land with the others but to wait until evening, as there was an angry mob of whites at the dock. Kasturbai and the children were sent to the house of Gandhi’s Parsee friend, Rustomji. Later, accompanied by Jason Laughton, the legal adviser of Dada, Abdulla & Co., Gandhi went ashore. The scene looked peaceful, but some youths recognized him and shouted,“Look, there goes Gandhi.” Soon there was a rush and much shouting. As Gandhi and his friends proceeded, the crowd began to swell until it was impossible to go any further. Suddenly Laughton was pushed aside and the mob set upon Gandhi. They pelted him with stones, sticks, bricks, and rotten eggs. Someone snatched away his turban, others kicked him until the frail figure collapsed. He clung to the railing of a house. The fury of the white mob was unabated and they continued to beat him and kick him. “Stop, you cowards,” cried a feminine voice. “Stop attacking the poor man.” It was the wife of the Superintendent of police. She came up and opened her parasol and held it between Gandhi and the crowd. This checked the mob. Soon the police arrived and dispersed the crowd.